Abstract—In this paper, the design of servo system is proposed using the state feedback where the parameters of feedback gain matrix are tuned using the particle swarm optimization (PSO). Type-1 servo system is considered as in most of the Single Input-Multi Output (SIMO) process the presence of integrator cannot be identified in the plant. It contains more than one inter-coupled transfer function between the state vectors of any non-linear system. One of the performance objectives for controller design is to keep the error between the controlled output and the set-point as small as possible. The Performance Index (PI) considered are Integral Time Absolute Error (ITAE), Integral Square Error (ISE), Integral Absolute Error (IAE) for optimal control. The simulations are tabulated in section 4. to analyze the promising results by the proposed method. Index Terms—Particle Swarm Optimization, Performance Index, SIMO, Servo system. 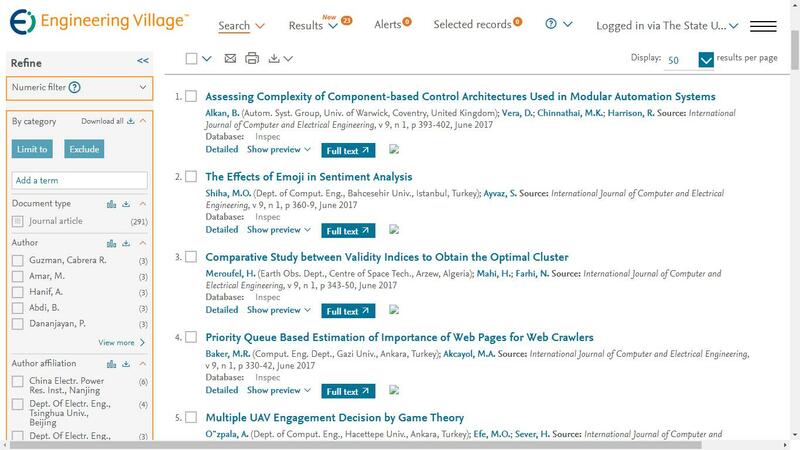 Cite: Tushar Jain and M.J. Nigam, "Tuning of Type-1 Servo System Using Swarm Intelligence for SIMO Process," International Journal of Computer and Electrical Engineering vol. 2, no. 1, pp. 41-44, 2010.